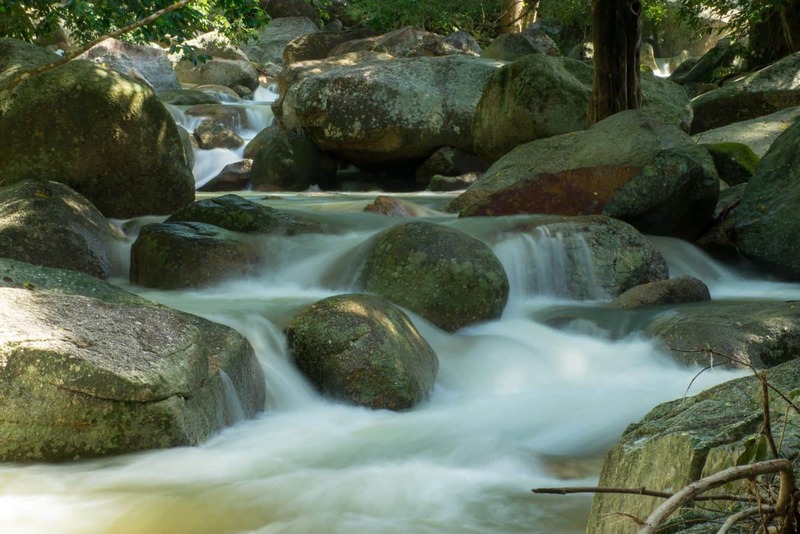 In addition to its beaches, Koh Samui’s natural attractions include waterfalls, lakes and a marine Park. Hin Lad Waterfall is one of the most beautiful waterfalls found on the island and is located just south of Nathon. 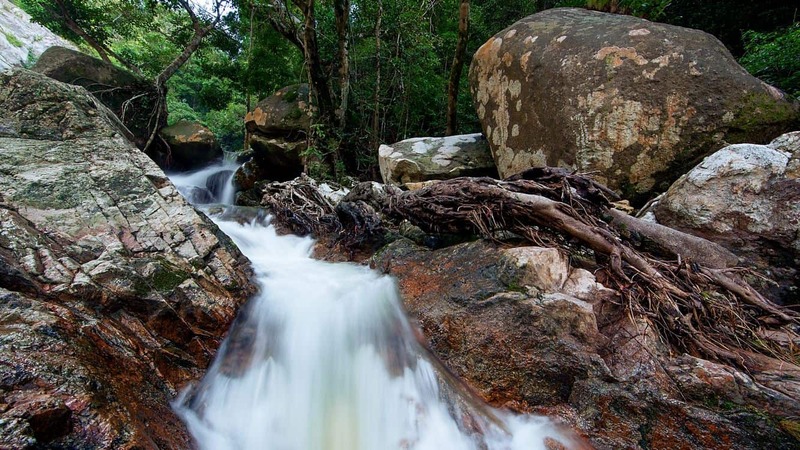 The stunning Hin Lad Waterfall is a gorgeous site, featuring a dense jungle path which spans 3km. Visitors mostly come here during the rainy season as the waterfall becomes larger and is at its best. 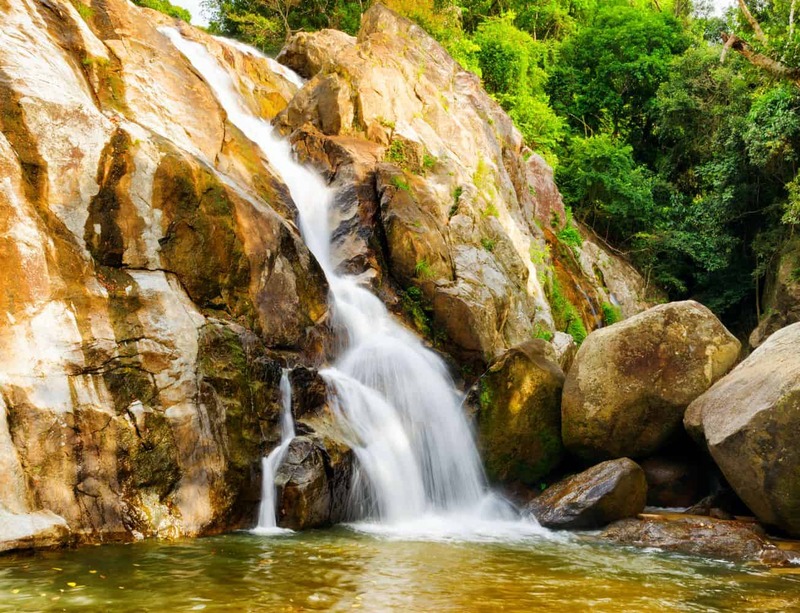 The lush setting of the Hin Lad Waterfall is perfect for a quiet picnic and a bit of relaxation. This beautiful lush terrain is also known for its dazzling spring flowers and visitors come here to enjoy hiking along the jungle paths. Visitors will be happy to know that there is an elephant reserve near the waterfall. Visitors are welcome here to enjoy an elephant ride and take a trek to other nearby locations. 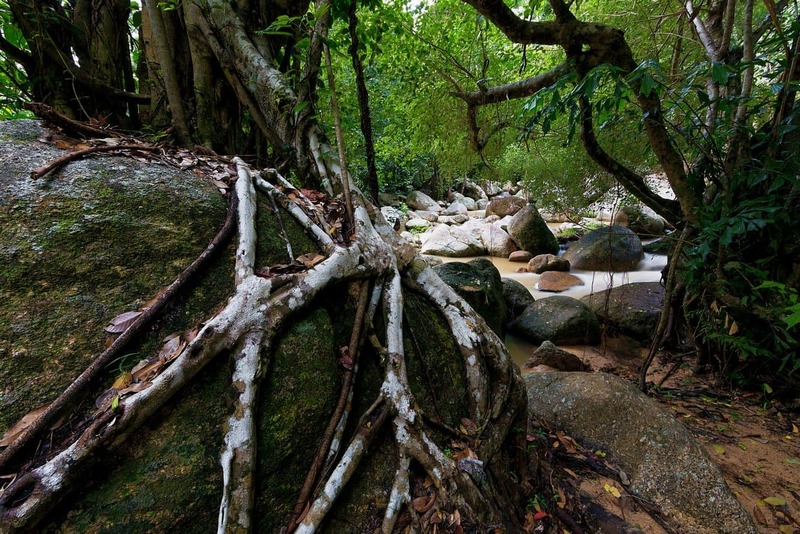 Alternatively, you can also take an elephant ride to the nearby Koh Samui Jungle. 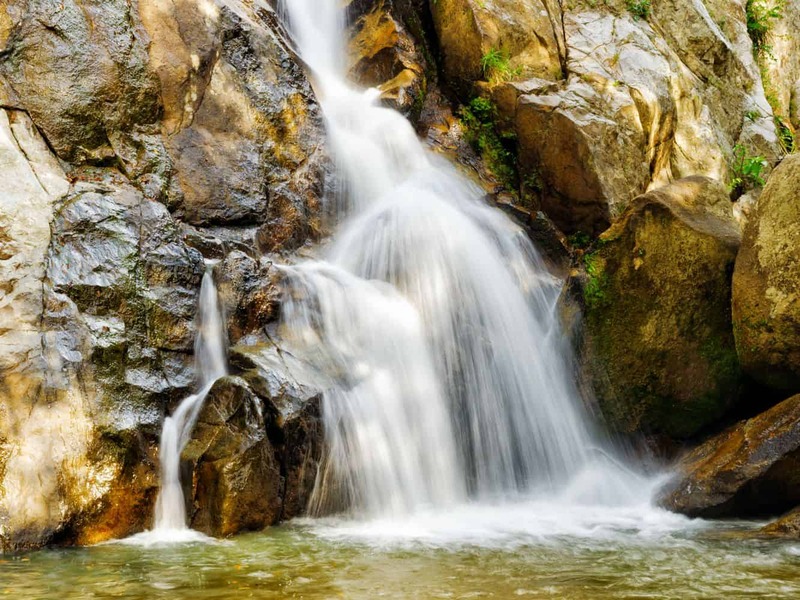 Here, there is a beautiful waterfall where visitors can take a cool swim after a long trek through the jungle. 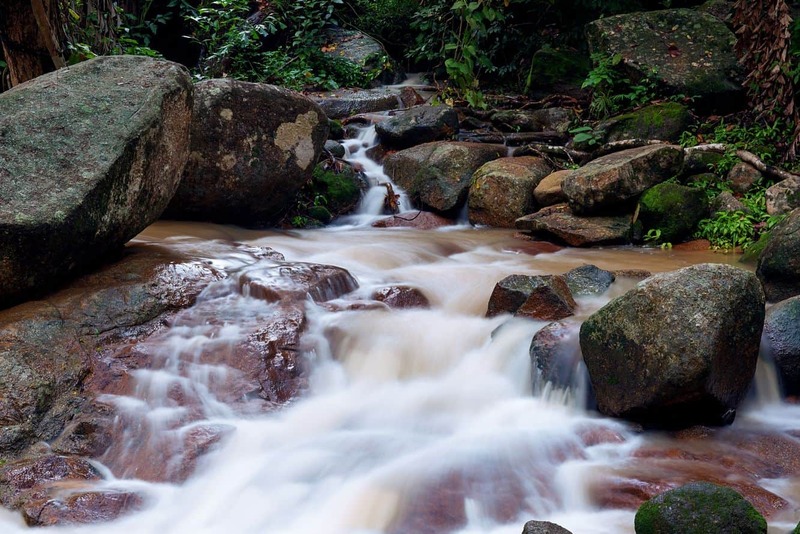 The area also boasts a temple known as the Hin Lad Waterfall Temple. 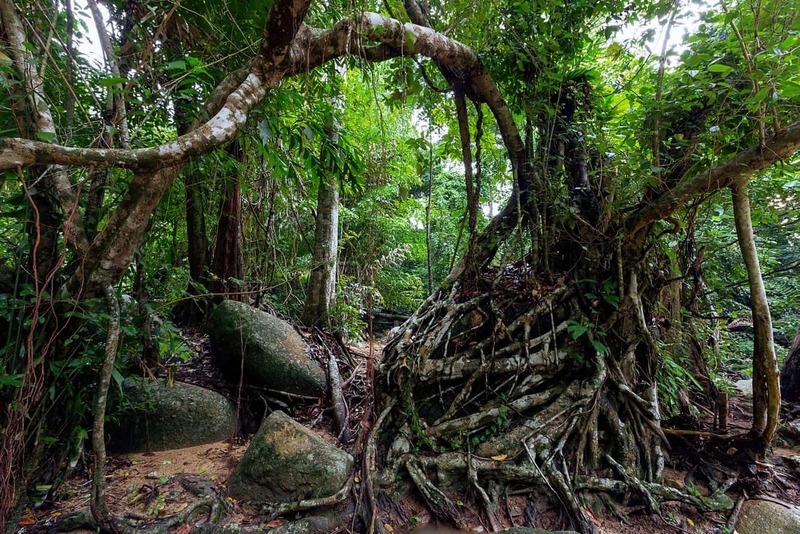 Set within the evergreen jungle of Koh Samui, this famous temple is visited by many tourists all throughout the year. Hin Lad Waterfall temple is located along the trail which leads directly to the waterfall and is a popular rest spot for visitors. The temple’s tranquil and peaceful setting is perfect for those who want to relax and unwind. Also, explore the temple and its lovely garden, which boasts Buddha’s images, sculptures as well as a walking path that leads to a meditation area.